Combine all the ingredients together and let them get acquainted for a minimum of a day. 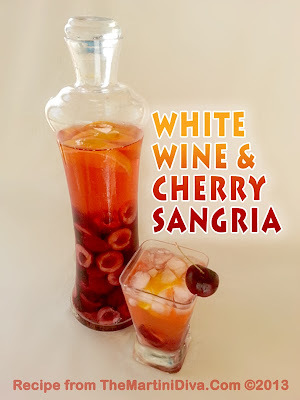 I let mine congregate together for 2 days and the longer I left it, the deeper the color became indicating more of the cherries and oranges had dispersed within the wine. Feel free to add more or less sugar depending on your preferences.